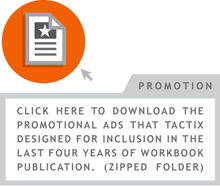 Prospective clients, design partners and ad agencies - Inquire about access to TactixVault.com. It is non-public password protected gallery comprised of design and illustration work generated for larger clients who wish to have Tactix Creative's design talents remain anonymous. Access by request only - Inquire at mail@tactixcreative.com. Recently, our creative director, Paul Howalt, donated his time to design a logo and promotional table skirt design to Pastor Jeremy Higgins, of Calvary Community Church in Cedar Rapids Iowa, to help launch his new radio station 97.5 FM KEWR. He just sent Paul a HUGE goodie basket filled with all sorts of delicious treats, just out of the blue! What an unexpectedly AWESOME delivery that was! Below is the final product of Jeremy's radio station logo. Judging by the size of the gift basket Paul got, it looks like Jeremy likes the logo just as much as we do! : ) So… thanks for the thanks Jeremy... From Paul Howalt and team at Tactix Creative. 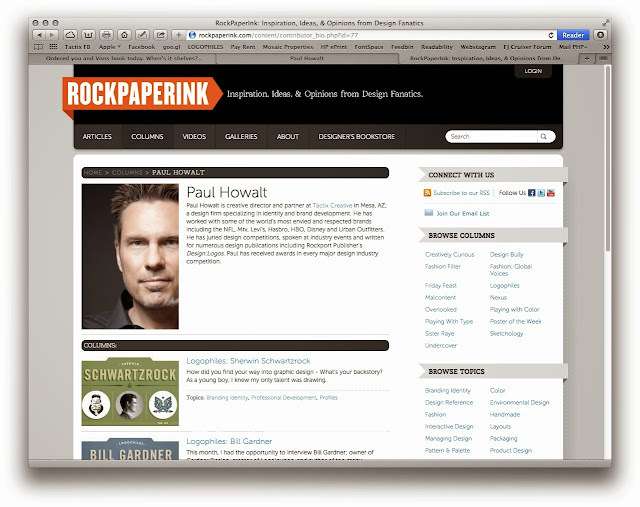 To see more of Paul's work, follow us on Facebook, Pinterest, Behance, and Google+! I was looking through the Tactix archives lately and came upon some of our icon designs from various local and national clients. Designing and creating icons gives us the opportunity to communicate a simple word or phrase with a visual description of all the options or products our clients have to offer. Check out more of our custom icon designs on Facebook, Pinterest, or Google+! What Are Hashtags? How Can They Help Market My Business? If you've been living under a rock for the past few years, you may only know this symbol, "#" as the pound sign on a phone or keypad. But this simple "pound" sign has turned into a social media phenomenon, known as the "Hashtag". If you've been living above ground and looked at ANY form of social media lately, you've at least SEEN a hashtag being used in some way shape or form. So what are they, and how can they help market my business? Here's a brief history of how the hashtag came to be, and how they have taken online & social media marketing by storm. Hashtags were originally made popular by Twitter, engaging conversations or "chats" between a wide variety of users. It was a way to have a discussion about a certain topic with anyone and everyone who had "tagged" their comment or post with that specific hashtag. Now days, this small but powerful symbol has turned any word or phrase into a window of opportunity for business owners to get their message out to multiple audiences. Now, most social media sites such as Twitter, Facebook, Pinterest, and Instagram have made hashtags a linkable word or phrase within each of these sites. That being said, creating/using the right hashtag for your business is critical to marketing toward your target audience. A brand hashtag is your company name and/or tagline that you create and use as a signature stamp. Make a brand hashtag or tagline that is unique to your business and use it to market your products or promotions. A campaign hashtag would be tagline or slogan you would create for a specific event or promotion your are currently holding. Use these hashtags to promote a sale or a new product and get others to use them. For example, when Oreo wanted to get people talking about their product for their 100 year anniversary campaign, they created the hashtag "#oreomoment. They encouraged people to share their favorite Oreo memories with them using this hashtag - and got a lot of traffic from a broad spectrum of users. Think about your brand/business identity, and try to translate that into a short word or phrase that best represents your company. Do your homework and research hashtags you'd like to use, and see who else is using them. If it's a fairly common tagline, go back to the drawing board. You want your business to stand out and not get lost in the thousands of postings with an over-used hashtag. Make sure it's short and sweet, easy to spell, and memorable... there's nothing worse than a potential customer trying to search for your company with your wordy hashtag of #WeOfferTheBestLuxuryFurniture, and having them end up on your competitor's site, because all they could remember was #luxuryfurniture. Relevant, clever, and concise seems to be the best formula for the most memorable hashtag. "Why all black? Because white was soooooooooooo last week. #FashionWeek". Imagine the power this simple comment has produced... selling cookies to super models! Oreo was clever enough to somehow make cookies relevant with fashion, but be careful to not get too hashtag happy when it comes to trending topics. Trying to relate to any and all trending topics is typically frowned upon, and your business will lose credibility with your audience. Keep your content current and relevant, and your audience will realize the authority your company has on the subject at hand. Trending hashtags are constantly changing, so be ready to seize the opportunity to get your brand out for there your target audience to see and share. Content hashtags are the "common" items or products that people talk about within the content of their posts - For example, #coffee, or even #caffienefix. The most common hastags types are Product, Lifestyle, Event or Location hashtags. Product hashtags are typically very general things you can purchase or use (such as coffee) that people have either talked about within their content, or are in search of. If you own a furniture warehouse, using #furniture within your tweets or blogs will automatically link this word to all the other pictures, tweets, and posts with the #furniture. People just browsing pictures or websites about furniture will have access to your images, and if interested in what you have to offer, they will easily follow your content to learn more about your business. Using Lifestyle hashtags in your content such as #luxuryliving could also be used to define and describe your furniture business, and therefore open your business to a new caliber of consumers. Event & Location hashtags are particularly helpful with your local advertising as you can promote your business directly to the public near you. Implementing event hashtags to promote a seasonal sale or simply adding your city as a location hashtag, (i.e. #PhoenixTradeShow) can greatly affect the traffic you get to your business. Potential customers are out there actively searching, sharing, looking & liking all kinds of products and services that you could be offering, so make sure they know where to find you! You won't find a better, easier, faster way to promote your business throughout social media than through the use of hashtags. Correctly applying these hashtags to all the items or services that your company has to offer has become a necessity for any marketing strategy. And if you haven't hopped on the band wagon yet... there's still room! Think about the amount of people that will see and share your content with their followers, and then with their followers, and so on. Imagine the opportunity for the kind of brand exposure that reaches hundreds if not thousands of people INSTANTLY! You just can't beat that level of advertising. 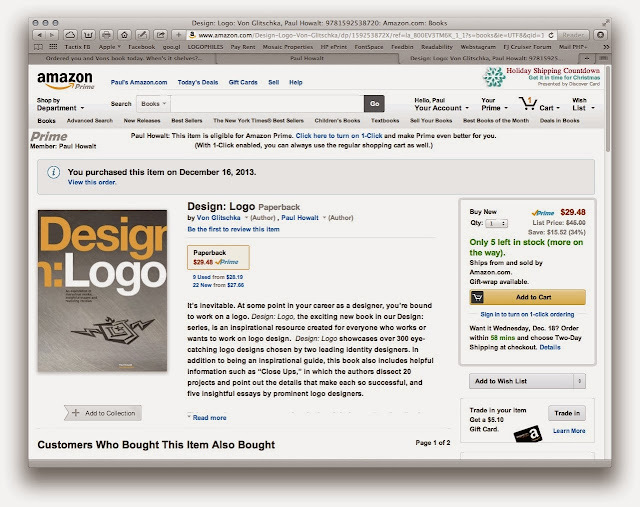 "Design:Logo" Hits Amazon.com - Yeah! Sometime toward the end of 2012, on the way back from attending a family wedding, I received a call from a long time friend and colleague of mine, Von Glitschka. He wanted to run a book idea by me. 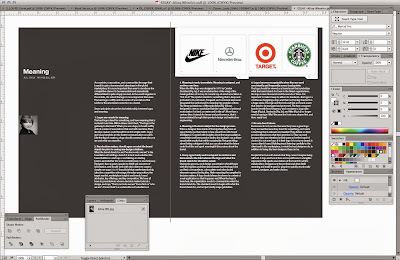 He went on to explain that Rockport Publications had contacted him to write and moderate a new book in an on-going series, showcasing outstanding work from each facet of a designer's branding duties. Some of the previous books focused on things such as typography ("Design:Type"), portfolio building ("Design:Portfolio"), and paper selection ("Design:Paper"). This new book he described to me was to focus on logo design and was to be titled "Design:Logo." Von happened to be in the throes of a rigorous speaking / traveling schedule and was pressed from all sides with some ongoing branding projects for other clients. He proposed that we co-author the book to reduce workload and provide dual perspectives. I love being a logo designer and I particularly enjoy that initial stage of the branding process. Teaming up for the project seemed like a "no-brainer" and I immediately committed to the project. After getting dual authorship approval from Rockport, the project began. With any book that relies on designer submissions, the first responsibility was to design the "Call For Entries" form. This is a crucial piece, since the visual language of this form sets the tone for the look and feel of the book's overall layout and cover, which we hadn't even talked about yet. We decided to go with an industrial vernacular vibe; I love that look and I can work quickly in that style. 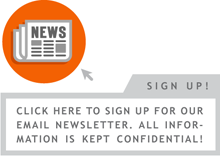 After finishing, a link to the final CFE form was released via a Rockport email blast and and web page posting. Immediately, electronic entries started pouring into the server from all over the world. 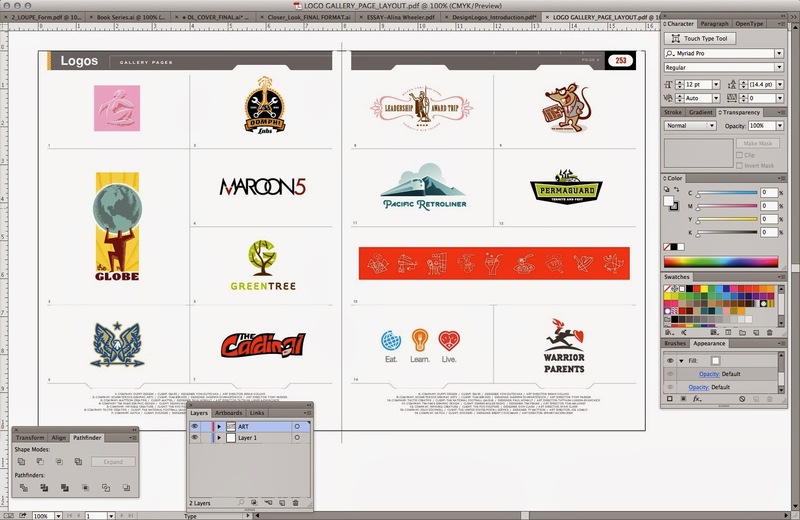 Von and I sorted through thousands of logos looking for marks that exuded a unique combination of concept, personality and a high level of what we observed as "irresistibility." 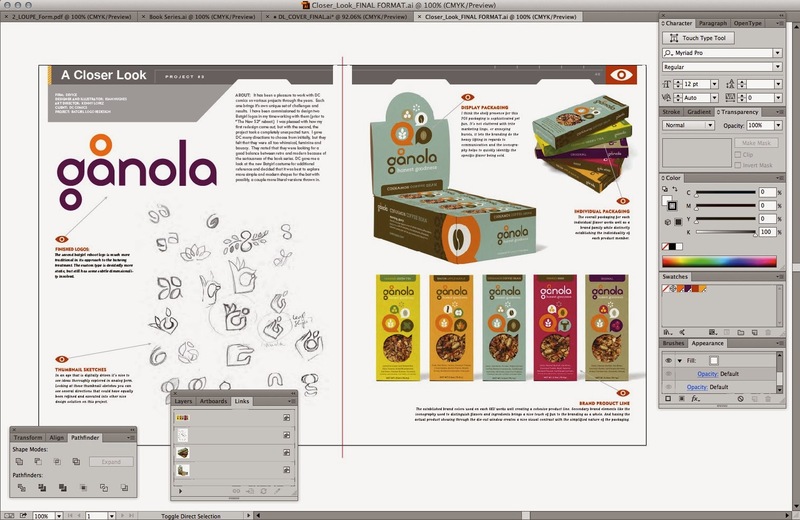 We committed to including only the entries that displayed exceptional illustrative skill, a smart combination of visuals, unique color palettes and attention to rendering detail. 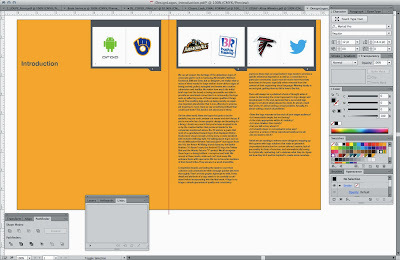 After final winning selections were made, I immediately followed up with designing the "Gallery" page layouts and writing the book's introduction. Von laid out the "Closer Look" page template. As we were compiling the logo winners, we also began to dialogue with some amazing designers who've crafted some of our favorite logos over the last few years. The book series format called for us to highlight and deconstruct the development of 20 amazing marks and distribute those feature spreads throughout the book. We were lucky enough to be able to include work from some of the most exciting 'trade-marksman' in the business: Tim Frame, Chris Parks, Carlos Fernandez, The Greteman Group, Hatch, Jeremy Slagle, Joe Bosack, Jon Flaming, Joseph Blalock, Rule 29, Leighton Hubbell, Luke Bott, Mint, Randy Heil, Rian Hughes, Felix Sockwell, Thinking Cap Design, Gyula Nemeth, Ty Mattson, Ty Wilkins & Brent Couchman. Another enlightening feature of the book are the essays we rounded up from 5 of the top branding industry thinkers: Bill Gardner, Alina Wheeler, Sherwin Schwartzrock, Justin Ahrens & Tracy Sabin. 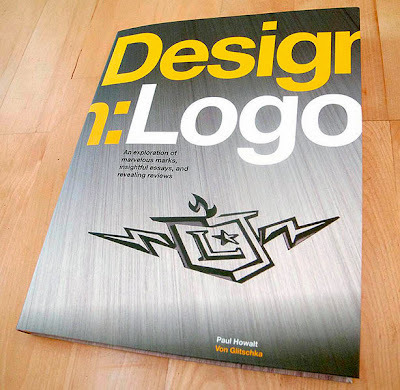 These insightful spreads plunged deeper into the logo design process with such topics as "Designer Blind Spots," "Style Is Substance," and "Designing Logos For A Nonprofit Organization." After compiling all the content and cataloging the stacks of over 2,400 grant of rights forms (Thanks for the help Carri Smith)… it was on to designing the cover. This was going to be one of the biggest challenges for me, being that I have a tendency to "over-design" everything I work on. 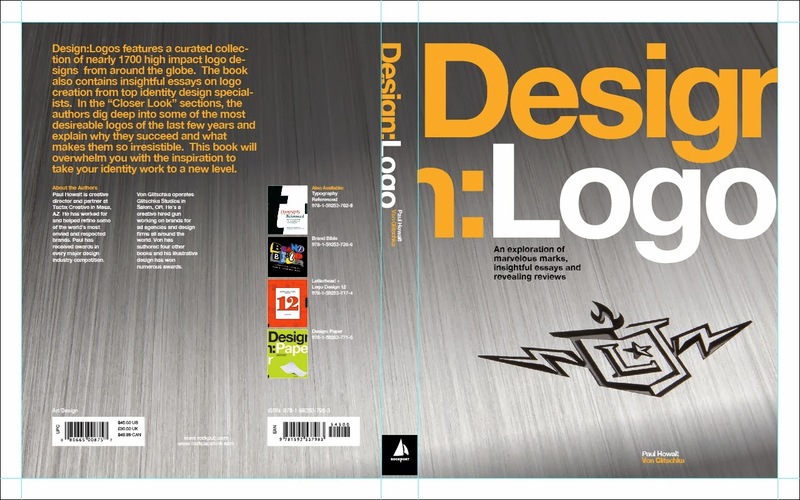 The preceding covers in the "Design:" series were sparse and had some prerequisite inclusions I needed to incorporate. The typography for the title was set in stone. 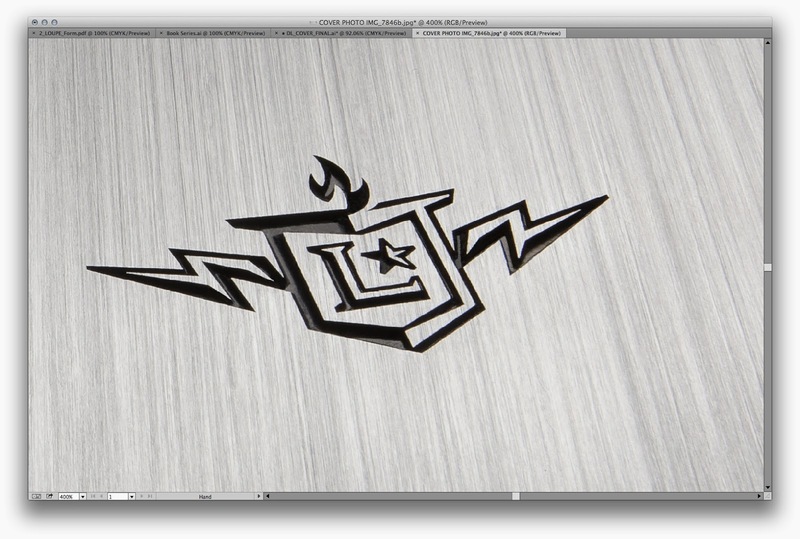 The biggest question was what particular element represented 'logo design' best… and how was I going to render it. I thought it might be nice to design an actual logo for 'Logo Design' with some common elements seen in many classic logos. Something a bit vague, yet bold and distinctive. The next step after I designed the logo itself, was deciding how I was going to render it in context of the title and credits. I had done some signage work with magnesium dies in the past and really liked the result, so I thought that this might be the perfect chance to try it again. I ran the idea past Von and he concurred. I prepared the logo to be acid-etched as a female mag die with steep shoulders. After that, I spray painted it lightly, sanded it all off in one direction then shot a photo of it in my office. It looked great in context with the other cover elements; and was a perfect fit, visually, in the existing Rockport book series. 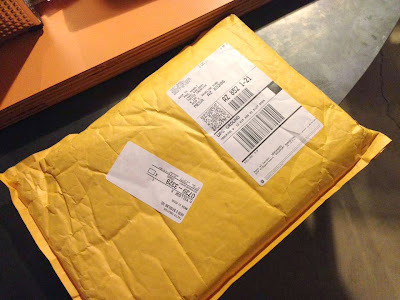 After the cover was approved, we shipped off all the mechanicals, proofed final layouts and waited for delivery of our copies from the Rockport press vendors overseas. We were overjoyed to receive the first copies off the press a little over a year after beginning our journey. There were a few bumps in the road along the way, but after all was said and done, the final product was definitely well worth the wait! Personally, I'd like to give a big thank you to Von for originally inviting me to co-author… and all the contributing designers who gathered up and sent in work. Also I want to thank our editor Emily Potts and John Gettings, along with the production team of Regina Grenier, Sylvia McCardie, Betsy Gammons and Cora Hawks. Their patience, accommodation and hard work made this process a pleasure. 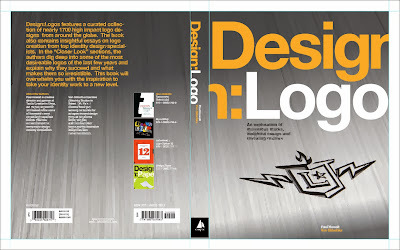 If you are interested in purchasing the book (Maybe as a Christmas gift for your favorite designer or logo buff, it is available on Amazon.com HERE. 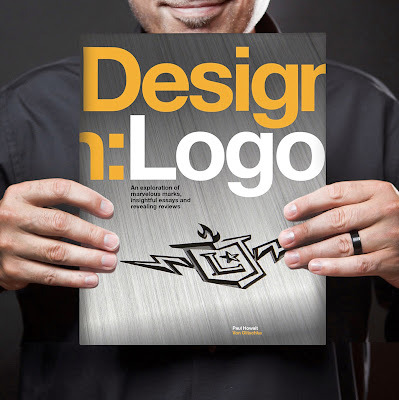 I am also currently writing a monthly blog column on Rockport's website RockPaperInk called "Logophiles," where I interview many of the top contributing designers included in the "Design:Logo" book. You can review those articles HERE. 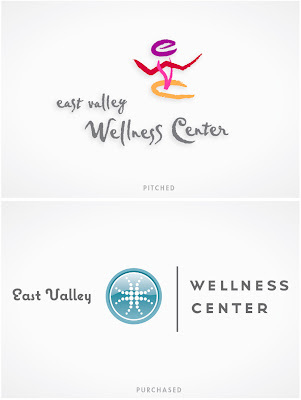 A great brand identity visually expresses the core values and essence of any company or organization with consistency. It is an essential component in the ongoing success of any company wishing to compete for dominance in a niche market. The prime element in reflecting this essence in it's simplest form is the logo. 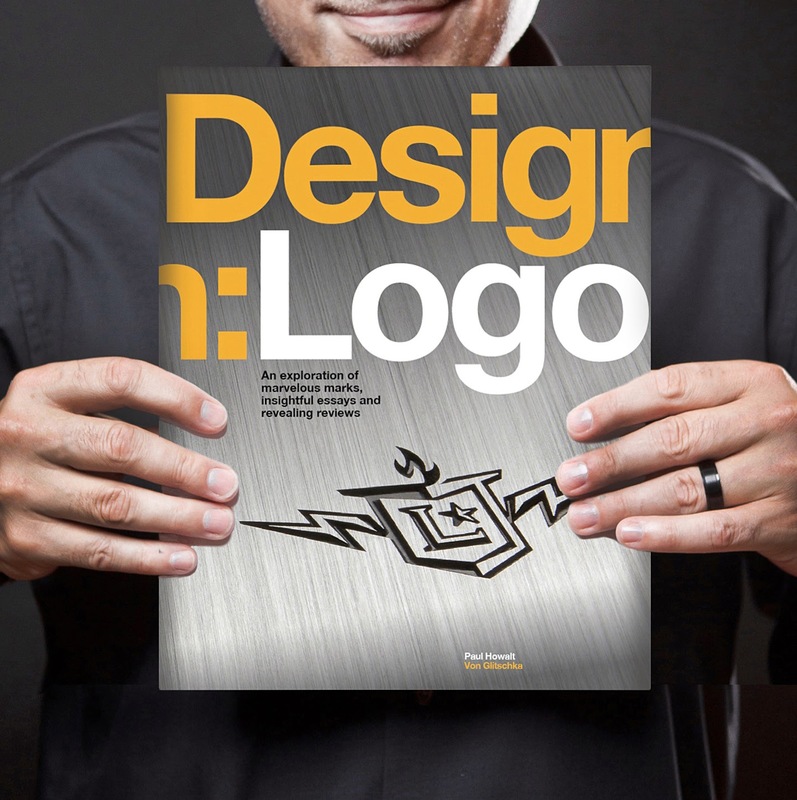 Whether elegant, outrageous, literal or conceptual; every logo must be, above all, memorable. 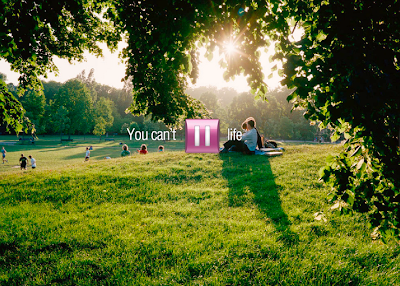 This company 'thumbprint' is the cornerstone of every company’s visual marketing efforts. A well designed logo is conceptual, the aesthetic is fine tuned and the color palette inspires trust and drives consumer behavior. It is important to note that in this day and age, visual discernment in consumers is high. 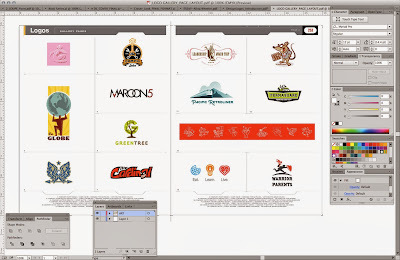 Any logo purchased for $39 at some place like 'CheapLogos.com' will be rejected upon sight, and prospective customers will mentally file your organization into the "you've got to be kidding me" category. The importance of proper logo development cannot be understated. The second main extension of a company’s identity is it's online presence. Websites, blogs, social media pages and email marketing campaigns are the most visible carriers of a company’s image. A well designed home page alone can inspire and win over customer loyalties instantly. Conversely, one that is poorly designed, repels visitors and creates a negative equity for the company. There are no excuses to neglect investing in proper, well integrated, professionally designed visual branding. Financially speaking, the development cost of a well executed strategic identity is a "no-brainer" investment in any company’s future. Design fees are budgeted expenses deducted the same year they are incurred; as opposed to a piece of machinery which usually costs more and is amortized over a number of years. And yet the benefits of a professionally designed branding system is retained over a longer amount of time. One related study of a more tangible nature was completed by Yankelvitch Partners, Inc. They surveyed senior-level business executives nationwide, asking them to rank the relative importance of a company’s branded marketing materials. The study showed that a company's logo and branded visuals ranked second only to annual sales figures in conveying a company's professionalism and prestige. Customers, prospects, investors, potential employees and other important audiences do, in fact, judge a corporation largely by its branded identity and corporate visual language as it's applied to printed marketing, an online presence, outdoor campaigns, radio and television, etc. 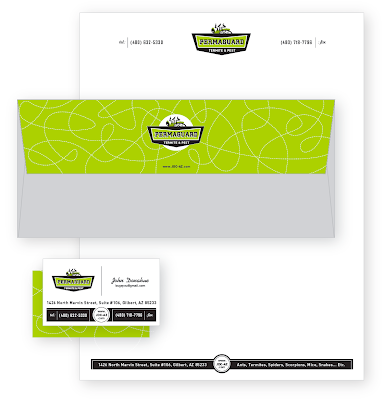 We can also offer tangible proof that even 'specialty' production techniques selected for producing marketing collateral can make a notable difference in how the company is perceived and embraced. Good branding sets you apart at every opportunity to communicate with your target market. 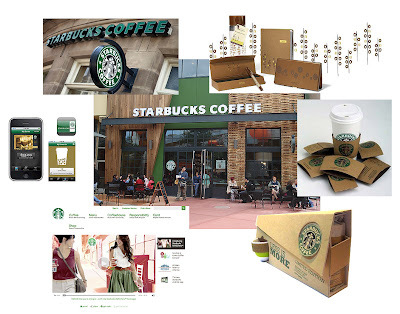 Starbucks is a great example of successfully consistent, well integrated branding. From store front signage to packaging to online presence, brochures, interiors, cups and gift cards; they know how to leverage their perfectly targeted branding solution. A company can, for a modest budgeted expense, create and manage a well-strategized visual brand identity, cultivating loyal, trusting customers for many years. Or it can choose to neglect this foundational process and let customers catch them poorly prepared in every opportunity in which presenting professionalism is essential to winning business. Poorly executed and inconsistent brand identities create negative public perception and kill business; on the other hand, well designed and managed brand identities propel companies, inspire loyalty and sell. In short, good design is always good business. I had a wonderful time presenting the other day at Collins College in Phoenix. 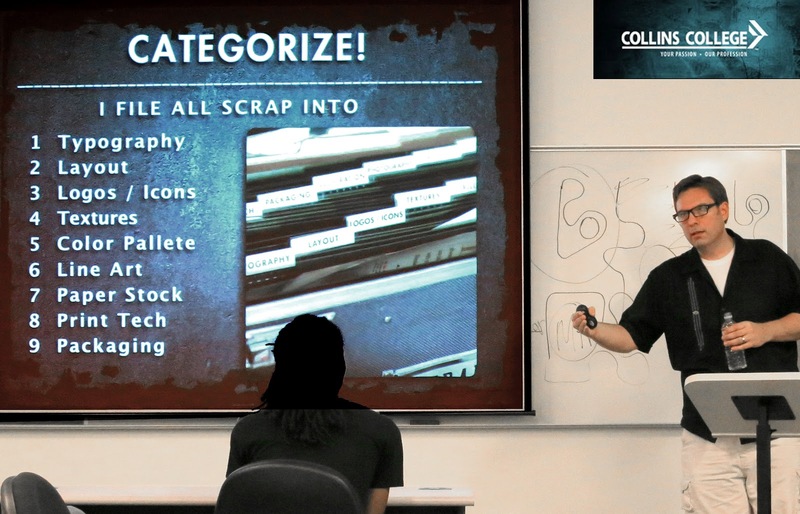 Instructor Janene Wong-Brehmer invited me to share a bit about my design methods, research and inspiration with her Advanced Typography class. I ended up speaking with 2 additional classes that dropped in as well. Whew! It was a privilege meeting such inspiring educators and students that night. I was also honored to find out that there was a poster design contest to announce my presentation. Thanks so much for all your kindness and hospitality... Special appreciation goes out to Janene and Howard Gelman for such a warm welcome. We were asked by a development team in Connecticut to design a set of GUI icons for an online software interface. We created "off," "hover" and "click" states of each icon commissioned in the job. 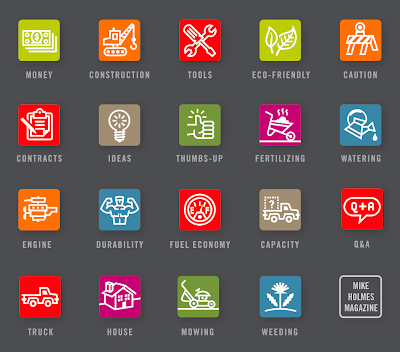 Below, you will see just a sampling of all the iconography we generated for the programming. 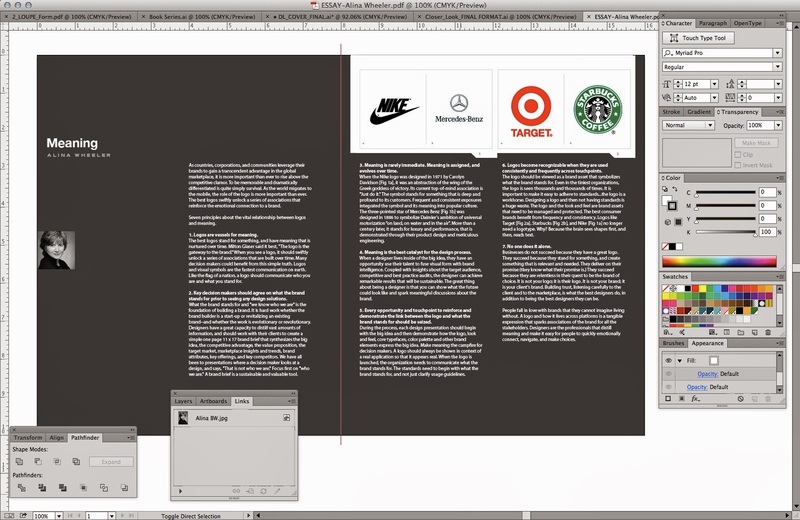 Our main challenge was to marry graphic impact, simplicity and a universally decipherable visual language. 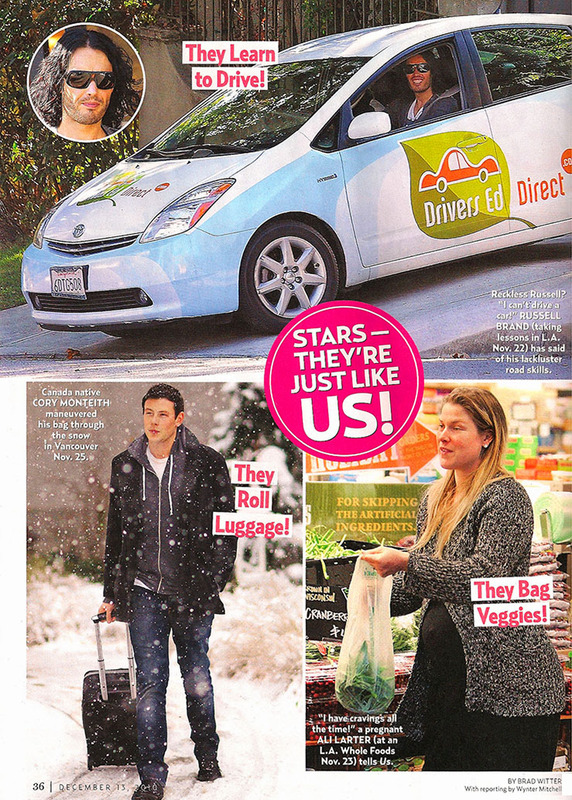 OK, so we don't laugh at ALL of Russell Brand's jokes here at Tactix, but we were very excited to see a photo of him practicing his Los Angeles driving skills in December's issue of US Magazine in a Toyota Prius training vehicle branded by Tactix Creative! Drivers Ed Direct has been a great client. They are a prime example of how success follows bold innovative branding language. About four years ago Tactix Creative was commissioned to create mascot logos for seven different Arizona schools in the Higley Unified School District near Gilbert Arizona. One of the logos was for the brand new Williams Field High School... "The Blackhawks." Well... we are proud to announce that the Williams Field Blackhawks just won their tenth and final regular season game with an undefeated 10-0 record and will be advancing to the Arizona State 4A High School Football play-offs! Congratulations Blackhawks!! If you were traveling the speed of light and you turned on your headlights, what would happen? 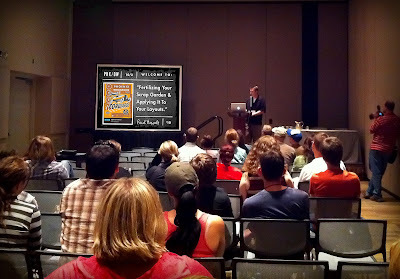 Phoenix Design Week has been over for about a week now, but I just received this photo from Von Glitschka of me presenting in my session on Sunday at the Phoenix Convention Center, and I thought I'd post it. What a great time it was meeting everyone who stuck around after the session. Big thanks to Jim Nissen and crew for coordinating such an overwhelmingly complex conference. The Phoenix design community is lucky to have you all. I would have liked to see all the speaker's presentations, but the standouts for me were Von Glitschka, James Victore / Paul Sahre, Joe Ray & Jon Arvizu. I hope everyone took away a little bit of inspiration to last through 2011. I can't wait to see what's in store for next year! Mad love to these fellow designers - who seem to have too much time on their hands. When Richard Neutra designed his incredible typeface, 'Neutra', I don't think he ever imagined that it would have inspired a, um, well, 'music video' based on Lady Gaga's 'Pokerface'. House Industries issued a (more than complete) set of this layout staple font in 2001, but it seems that the glitter has not faded after all these years for many of us... including Jason Kinney and pals. Check their ode to this geometric typeface backed by a "Weird" Al style vocal tribute! Too Fun! 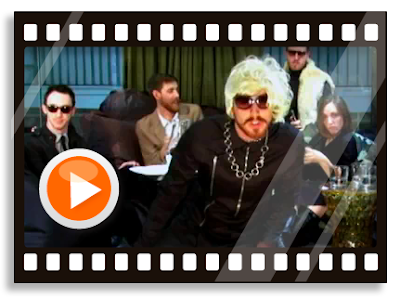 Go To Neutraface Video! We've just finished up a set of icons for a Canadian Magazine called "Holmes On Homes" - published by HGTV star Mike Holmes. We infused some of the linear designs with personality and even a sense of humor. Everyone was very happy with the final set. They will see their first printing this month. Thanks to Holly at 3 In A Box for negotiating the deal and art Director Patricia Cavazzini, who made the job run as smooth as any project we've worked on! 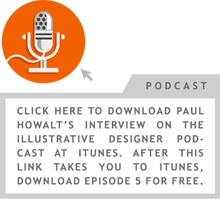 - (Design and Illustration by Paul Howalt) Click Image to enlarge. Last year Tactix Creative was called upon by Hasbro to redesign the Operation game logo; arguably one of the most memorable type treatments of our time... Rarely does such a magical opportunity come around. As children's games go, this just so happened to be my very favorite. The first Operation game actually rolled off the assembly lines in 1965, the year that I was born... Coincidence? I think not! ;-) Needless to say, I felt honored and privileged to be a part of this process! We produced many conceptually sound, and appropriately whimsical sketches, but in the end, Hasbro decided on going with the option that most honored the visual heritage of the original logo done in the 1960's. I also was asked to do illustrated concepts for the box top and "Cavity Sam" character buzzer board, which I will be displaying at a later date on this blog. 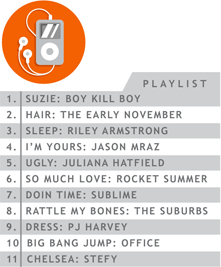 Mike Swiatlowski dished out some great art direction and made this entire overhaul a joy! 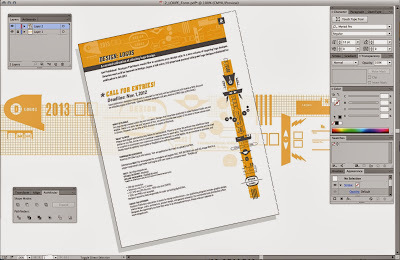 A big part of what we do on a daily basis is the designing of "Visual Components" to be used in large campaigns crafted by Ad agencies across the country. It can be something as complex as an interchangeable modular page layout for a print campaign, or even as 'simple' as a tastefully rendered icon to be used as the focus of a brilliant line of copy. That's exactly what we did here. Billy Faraut from JWT called upon us to work out a perfect pause button for the copy they had sold through to Benadryl. We did many more visual studies than are shown here, but you can get a feel for the process we went through, from the tight sketches and final layouts shown below. (Click on images for larger view). 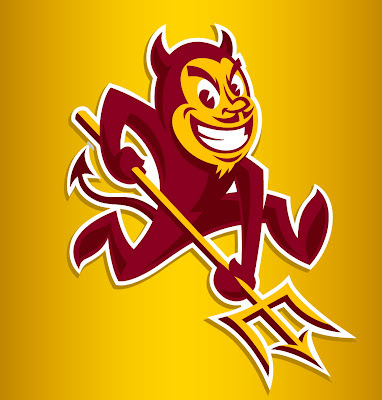 Having graduated from ASU's design program, I am continually surprised at how poor reproductions of Sparky find their ways onto shirts, unofficial merchandise and especially websites. I've always respected Walt Disney's mascot illustration / design that seems to be derived from a costumed character that appears in Peter Pan's "Never Never Land". I never purposely set out to redesign ASU's "Sparky" mascot, however... a couple years back, I was asked to do a cover illustration for a local paper here called The New Times, depicting Sparky's face in a board room. I had fun with it and the rest just snowballed from there. Now, like it or hate it, I've stopped periodically revisiting this fun little uncompensated side project. Tactix Client, Driver's Ed Direct, makes an appearance on The Tonight Show! 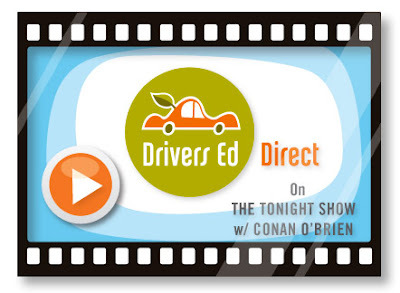 Earlier this month, Eric at Driver's Ed Direct (a Tactix-branded company) let us know that they were asked to help out Conan O'Brien out with a little on-air 'driving lesson for one of their producers on The Tonight Show. It turned out to be a pretty funny spot on the show! We did a 'head-to-toe' branding and identity package for this start up company back in 2006... It's great to see that they've really carved a niche for themselves out in the Los Angeles, CA area! We're so proud!